It’s generally acknowledged that Christmas can be a difficult time for people who are on their own, but once the festivities are over and the New Year is upon us, I also think that Valentine’s Day is another day that people often dread. I have to admit that I am not exactly looking forward to Valentine’s Day this year, and know several people who are in the similar position of seeing that date on the calendar and hoping it whizzes by as quickly as possible. 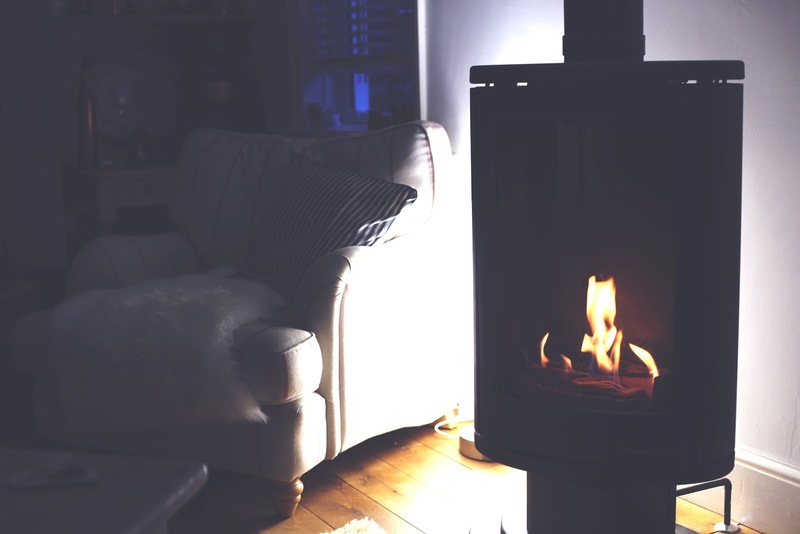 Personally whilst I obviously have no plans on Valentine’s Day, I’ve decided to keep this Tuesday as an evening dedicated purely to self-care and chilling in at home (just like every other evening, I hear you say, and you would be right). 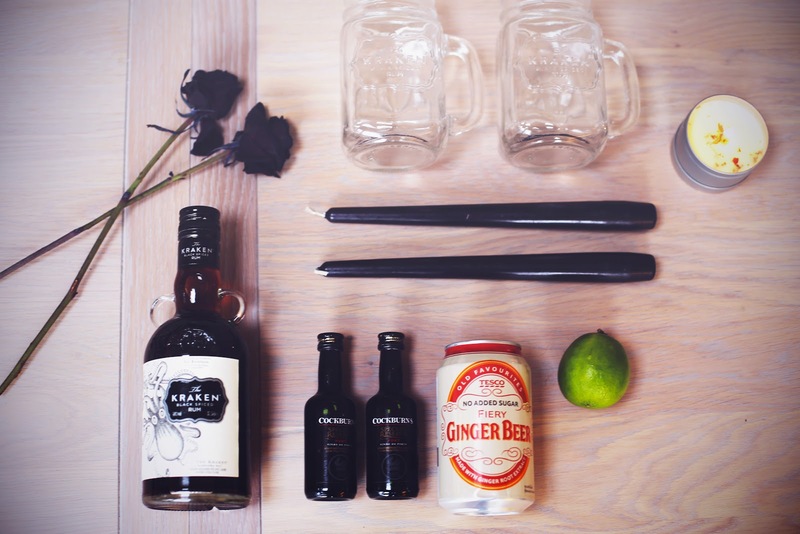 Kraken Rum kindly sent me a little Valentine’s kit to share with a special someone (this year, that being me, myself and I) complete with black roses, black candles and the ingredients to make an ‘Any Port In a Storm’ cocktail. 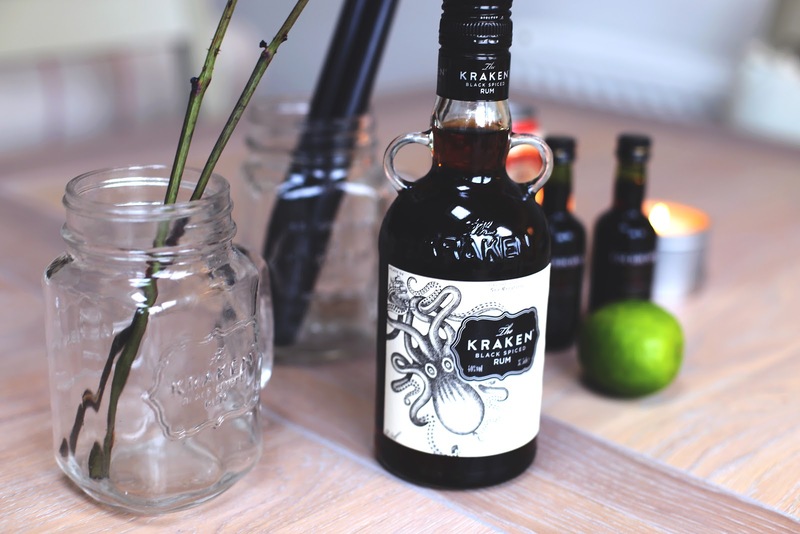 Kraken has long been my favourite rum, and whilst I’m usually found ordering it with Diet Coke in a bar, I’m excited to settle down on Tuesday evening with a glass full of my favourite spirit and a different recipe to whip up. 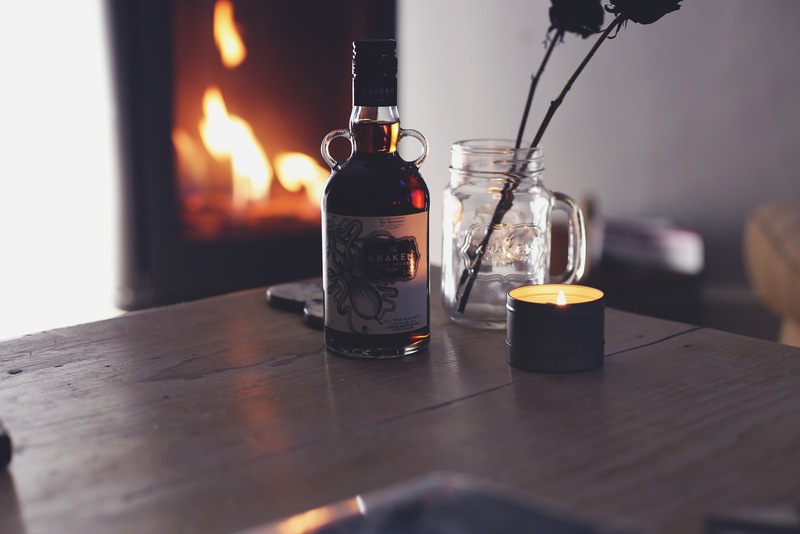 I somehow feel like staying in with a bottle of wine and a boxset on my own paints a different picture to staying in with a glass full of rum and some black candles burning away in the background – I’m pretty sure that’s what badass people do on their own on V-Day. Of course if I’m ensuring I’m treating myself to all of my favourite self-care activities, it wouldn’t be a Rosie night in without a long, languid bath with some kind of Lush bath bomb. I treated myself to a few things from their Valentine’s range, and my favourite is the Unicorn Horn bubble bar. Can you think of anything more perfect than settling into fairytale, fragrant bubbles on Valentine’s Day? 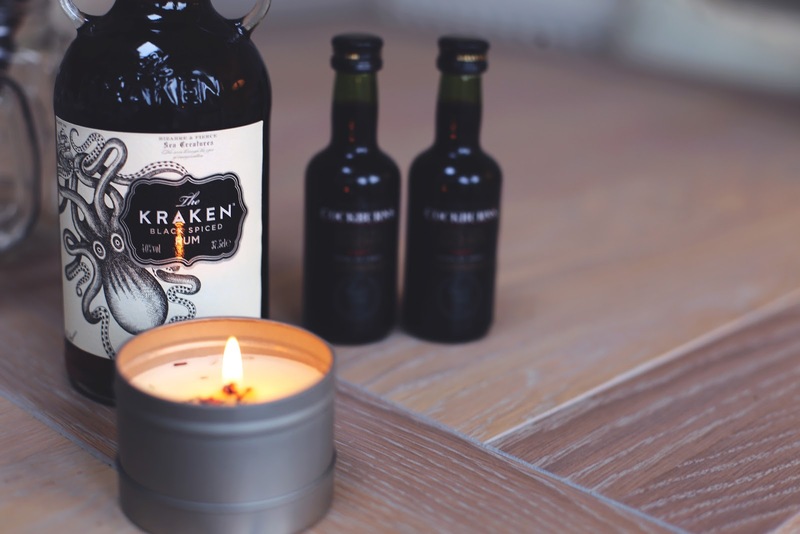 I’ll definitely be lighting candles and making sure there’s a rum-filled glass within easy reach. 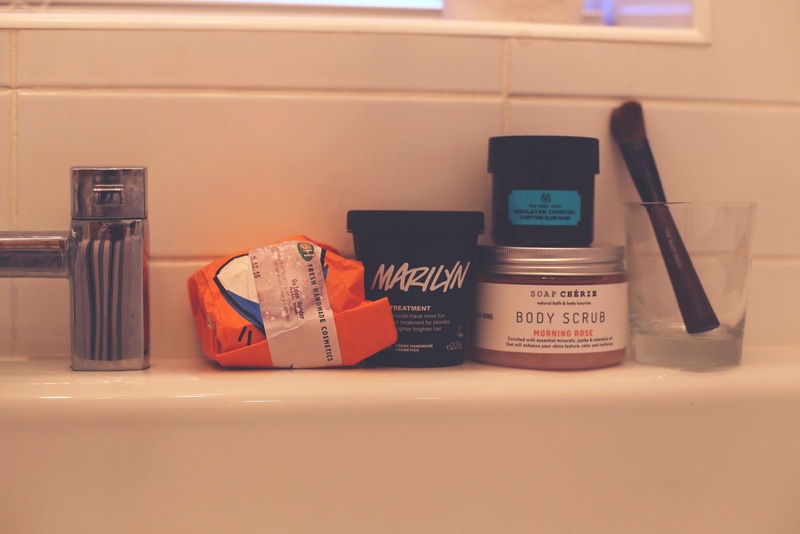 I’ve also been bringing in a little speaker to the bathroom and listening to podcasts or audiobooks whilst I’m soaking in the tub – it’s the perfect relaxing evening activity (or it would be if I didn’t mostly listen to podcasts or audiobooks about serial killers). At the moment I’m really trying to focus on my self-development and staying inspired and creative even through what is quite a tough time. 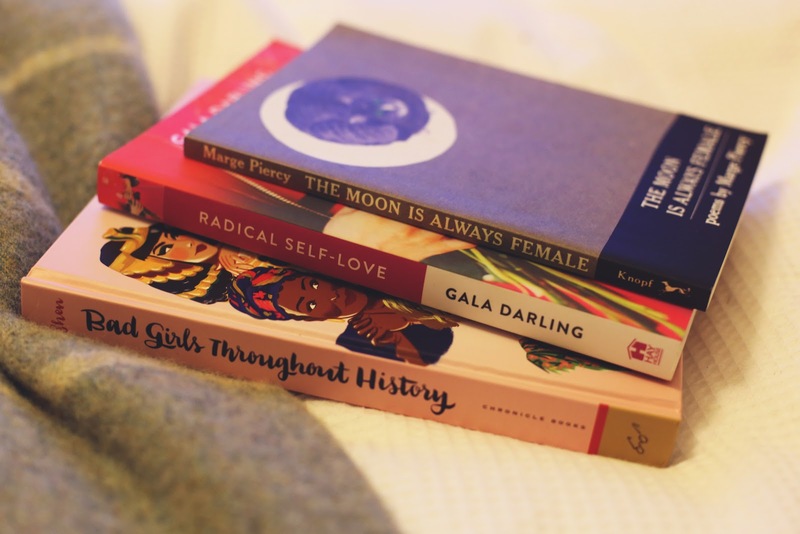 So, on Valentine’s Day I’ll be giving a nod to awesome, independent ladies everywhere by dipping into Radical Self Love by Gala Darling (seems apt for Valentine’s Day! ), one of my favourite poetry books, and my Christmas present from Emma – Bad Girls Throughout History. Of course these books will be enjoyed under some sort of blanket, with my cosy PJs on, and maybe with some sort of bowl of snacks to hand. I feel like self-care and nachos are pretty inextricably linked, so I can imagine whipping up some sort of crisps and dip combo, and then maybe an indulgent dessert. Nothing says radical self-love like a slab of New York Cheesecake all to yourself.